In this modern era, people express their feelings via emojis. Emojis have become a part of our daily life communication. On social media responses, we create emojis every day, several times a day. 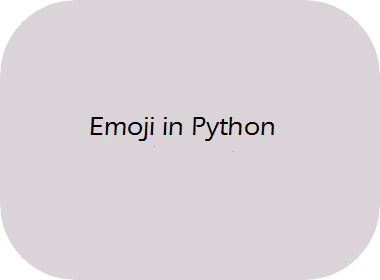 This blog explains how to create emojis in Python and print them on screen. Emoji are ideograms and smileys used in electronic messages and web pages. Emojis exist in various genres, including facial expressions, common objects, places and types of weather, and animals. They are much like emoticons, but emoji are actual pictures instead of typography. Open your Visual Studio Code editor and create a Python file. Open this file in VS Code.